A family who was lucky enough to escape the horrible problems in Kenya a few years ago is today doing a final walk thru of their new home. They have worked for more than a year on other Habitat homes as well as their own. 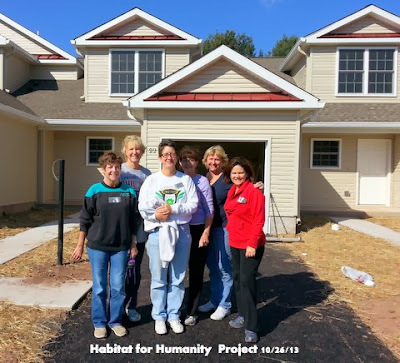 6 club members (Joyce, Suzi, Kelly, Martha, Connie and Carol) worked Saturday morning doing the final cleaning on their home as well as 2 others which will be occupied soon.